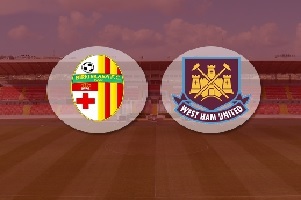 Birkirkara will play against West Ham United for Europa League . The first meeting ended with victory for the English team. The result was 0:1. Birkirkara is a team from Malta, the competition there is limited and the level of quality is not very good. West Ham United is much stronger team than their opponent, but they won with just one goal difference, so I expect them to be careful in defense. In case they have problems with scoring a draw still gives them promotion.